This summer, very few Monarch butterflies have come to Archie's Garden. We have a brand new butterfly fort to protect caterpillars against wasps, but we don't have any caterpillars to protect. There are whole days that go by when not a single Monarch comes to visit. We're trying not to worry, but we don't really know what's going on. 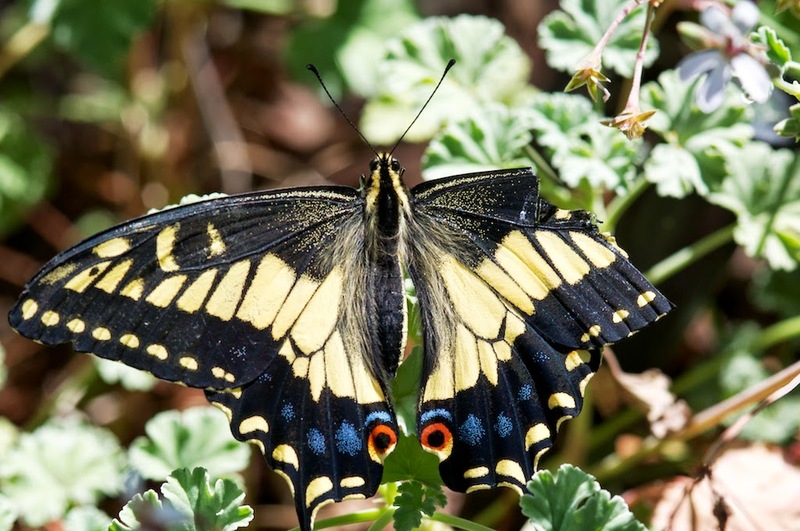 The story is different when it comes to Swallowtail butterflies. 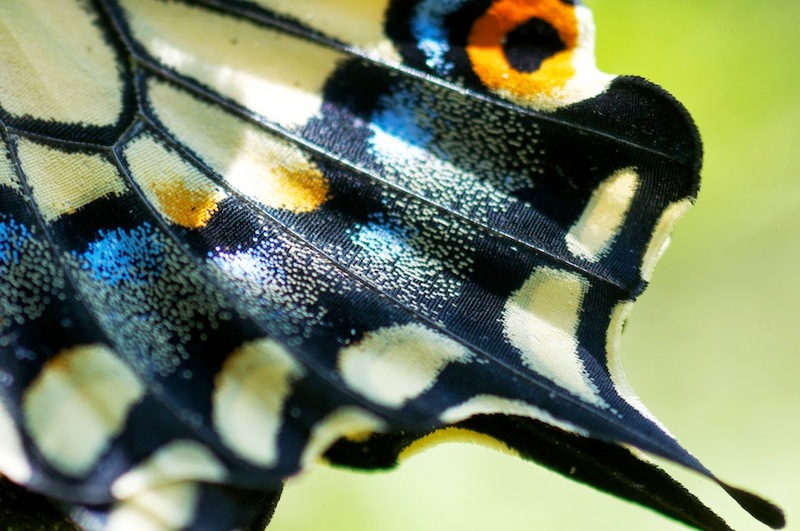 We've had far more of these fast-flying butterflies than we've ever had in the past. 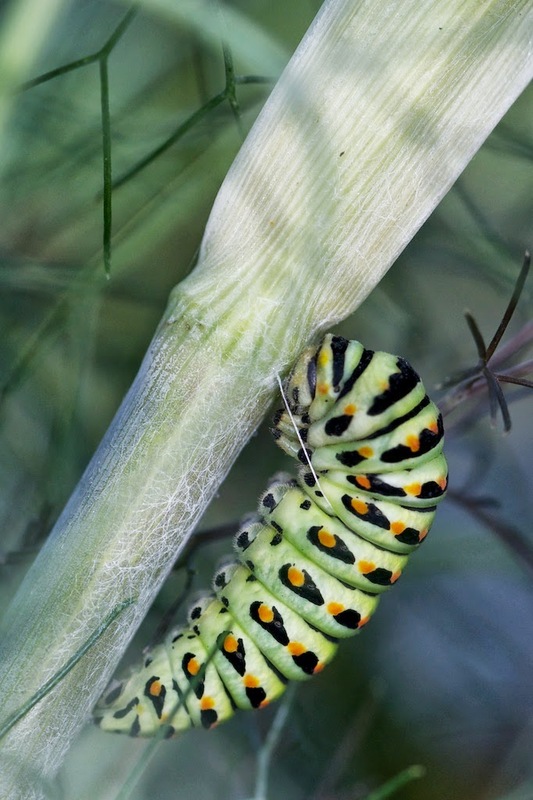 Swallowtail Butterflies (Papilio polyxenes) use fennel, parsley, and dill for their host plants. 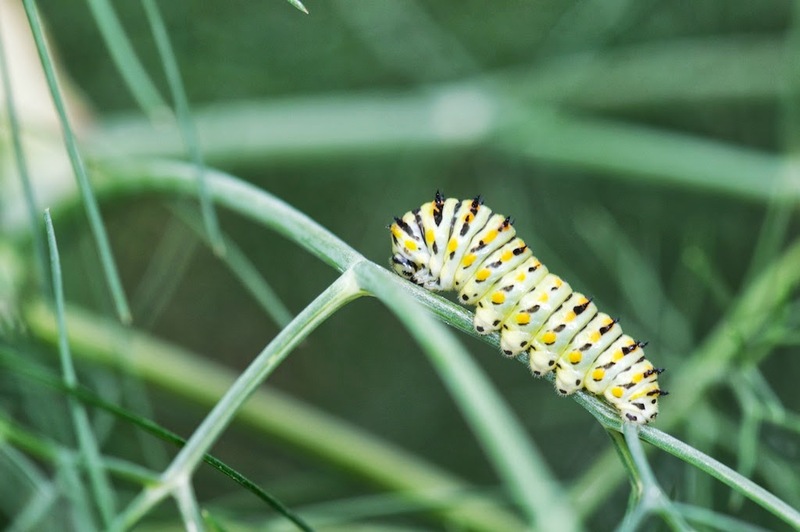 We have some fennel where caterpillars have been munching. 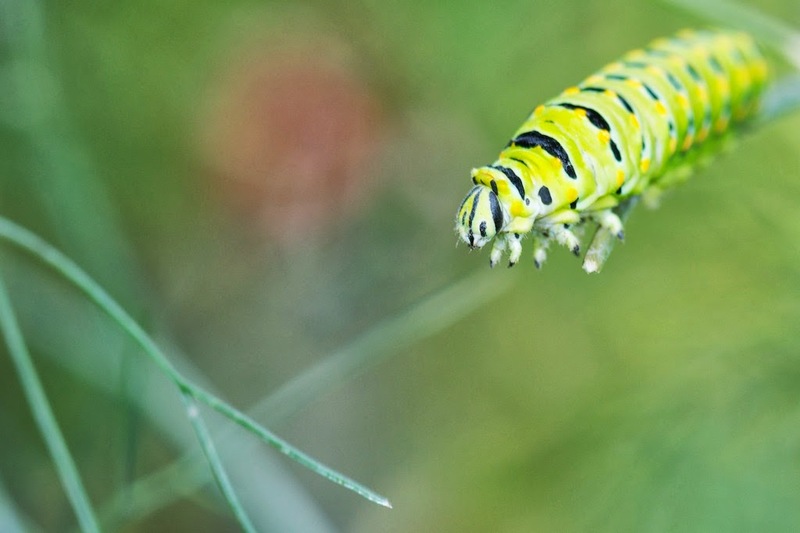 While Monarch caterpillars hang in a "J" shape before they pupate, these Swallowtail caterpillars create a silk "seatbelt" for themselves, and curl with their heads upright. Interestingly, when these caterpillars have pupated, we've seen two very different looking pupae. 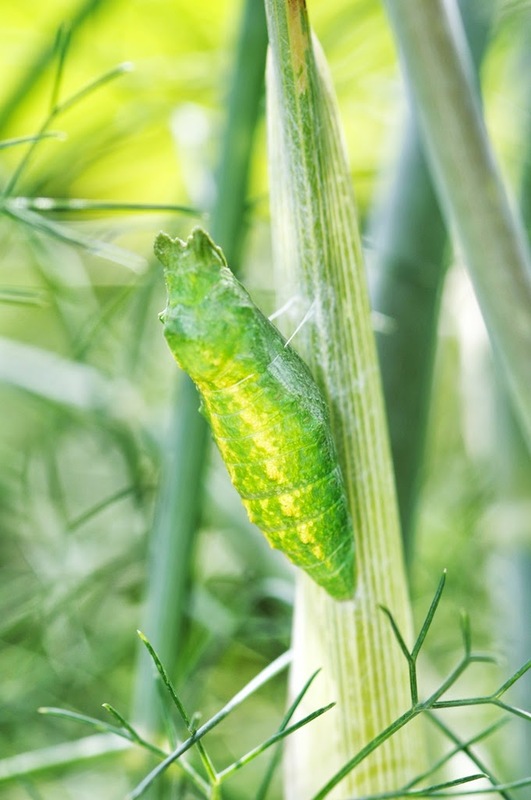 On a wooden post, the pupa is mottled blacks and browns, while on the fennel stalk the pupa is yellows and greens. 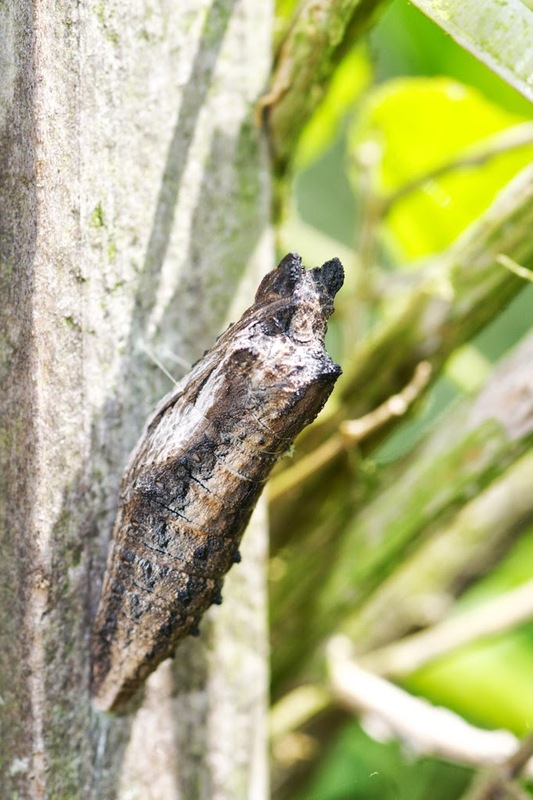 We don't know if it's camouflage, or if we are seeing two different species. 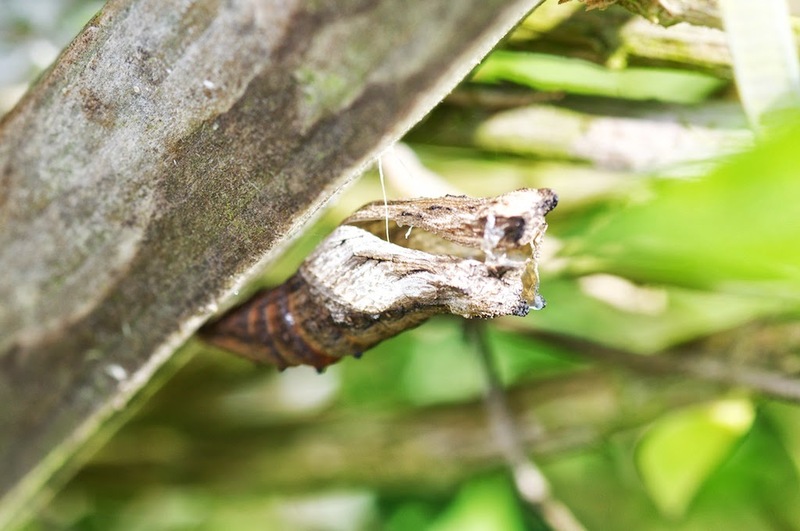 Yesterday, the dark pupa eclosed. I wasn't there when it happened, but I discovered the butterfly shortly afterward. It had damaged its right fore-wing. I was worried that it might not be able to fly. 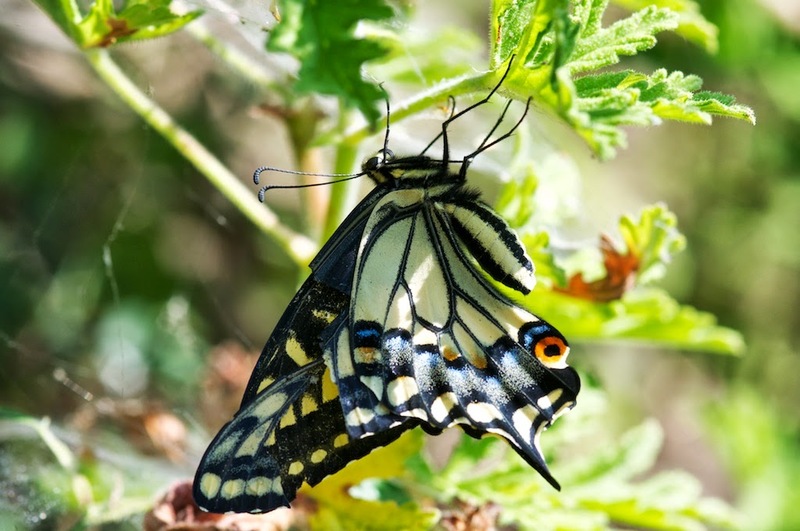 However, after an hour, it had fluttered a short distance, and was resting in the sun. A few hours later, it was gone. I hope that it succeeded in flying off to new adventures! (as always, you can click on the pictures to see bigger versions). Well I am seeing that a person has done so much effort to get the pictures right at time. Really appreciate your effort in this series of the pictures collection.